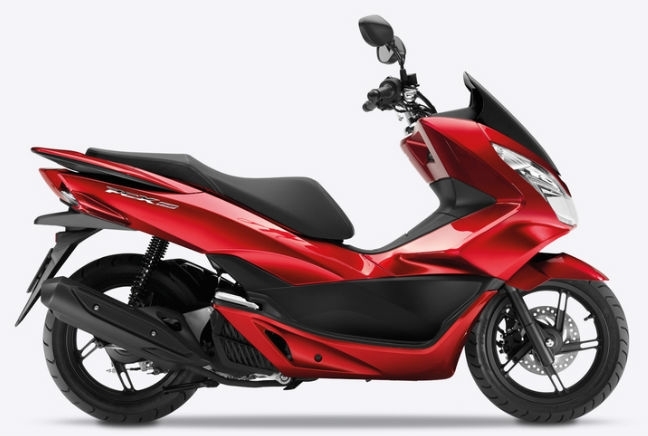 The Honda PCX is a high-end scooter that’s jam-packed with equipment and features. It was the first thing on two-wheels to introduce an idle stop-start ignition system, a long time feature of the motor industry, helping it return brilliant fuel economy figures which sit at an official 130mpg. Being a 125, the PCX is also pretty quick for a scooter and it hits 70mph easily. Whilst at 124kg it’s fairly heavy, it’s still easy to manoeuvre and handle when you’re on the road. The Honda PCX sold 165 units in October helping it top the UK sales charts for the second consecutive month.